Whether or not you're headed to the mountains this long weekend for a fun, adventurous camping trip, these delectable campfire treats are sure to add some sweetness to end of any meal. For those who are indeed headed into the great outdoors, each of these desserts can be created over a small bonfire. 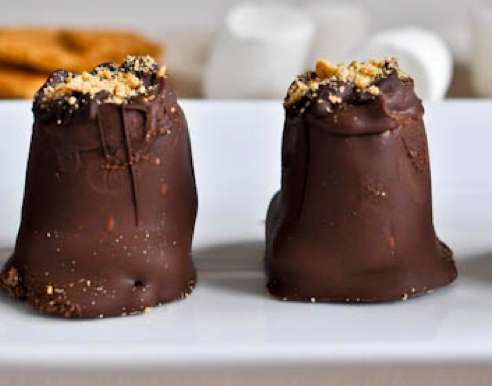 For example, the boozy campfire bites can be created by roasting marshmallows and melting chocolate over an open flame. Putting these ingredients between two graham crackers makes a classic s'more, but adding whiskey-infused bacon to the mix gives this dessert a warm, alcoholic quality that's perfect for cold, nature-filled nights. For those who prefer the indoors, these desserts will give you all the joys of sitting around a warm campfire without having to leave your house. Something like a frozen s'more dessert, which is basically a combination of a s'more and an ice cream sandwich, will create the feeling of roasting marshmallows around a campfire -- but it can be enjoyed in the safety of your own kitchen. These delicious campfire treats are perfect for the July long weekend, or even just for a dull summer night that could use a little spice. 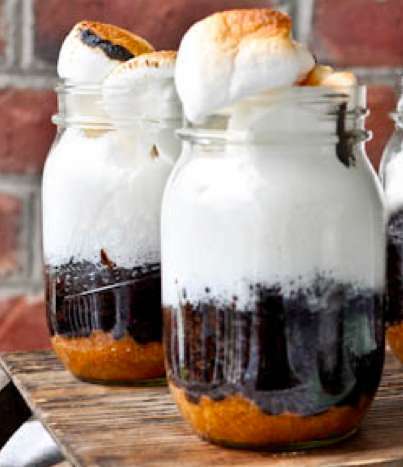 Whether you like your s'mores hot or cold, dry or alcohol-infused, there's a campfire dessert to suit your tastes.